Some kids are born to hate brushing their teeth, as I found out with my second child. Brushing his teeth had always been a struggle. He refused to open his mouth for more than a crack. He was very particular with the taste of the toothpaste, almost gagging if it tasted too sweet or too minty. Ugh! Brushing his teeth was such a chore that we both dreaded that time of the day. Thankfully, that’s all in the past now. Here are 4 tips that have helped brushing more fun for the family. A book that’s related to teeth and mouth care, that is. 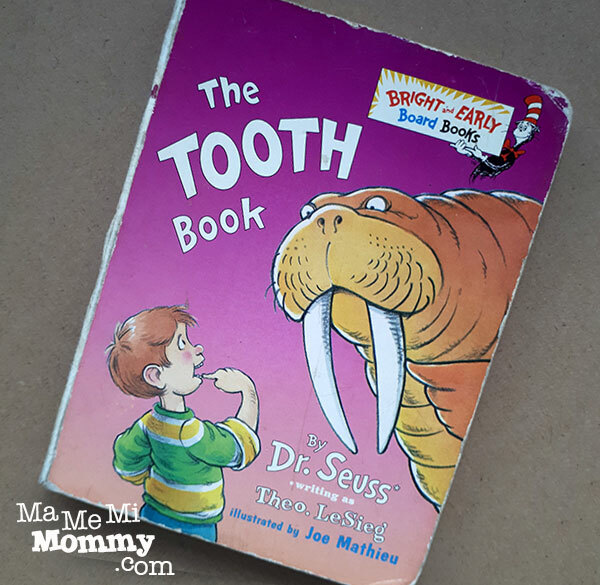 We have The Tooth Book by Dr. Seuss and it has helped me in explaining the importance of cleaning the teeth properly. Alternatively, you can let them watch kiddie videos that are related to the dangers of not taking care of their teeth. The visuals in books and videos help them better understand it rather than just explaining about bacteria and cavities. Make brushing a fun family activity that you can all do together. 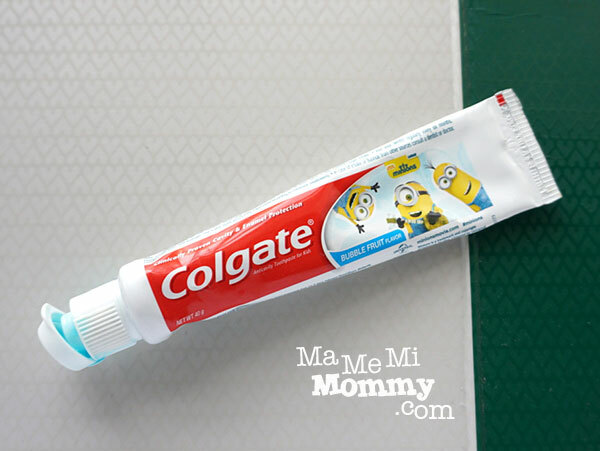 To help encourage my son with brushing, his brother and I do it all together. We sometimes have games to make it extra fun, giving prizes to the most thorough one, the squeakiest one, or the freshest breath one. It’s been a lot of help as brushing has become a fun activity that we actually look forward to already, unlike before. The kids are old enough to spit so I can actually just use the same toothpaste as we adults are using. While this provides so much more convenience, the minty taste does not bode well for my younger son. I’ve also tried the baby ones but he finds them too sweet for his taste. I’m just so glad to have found Colgate’s Bubble Fruit flavor because he likes it so much. I even caught him brushing his teeth twice just because he liked the toothpaste! I used to think that fancy stuffs are just a marketing ploy. When buying, I usually choose the simplest and functional one, minus the bells and whistles. That is, until I had to convince my youngest son to brush his teeth. The more appealing the toothbrush is, the easier it was! 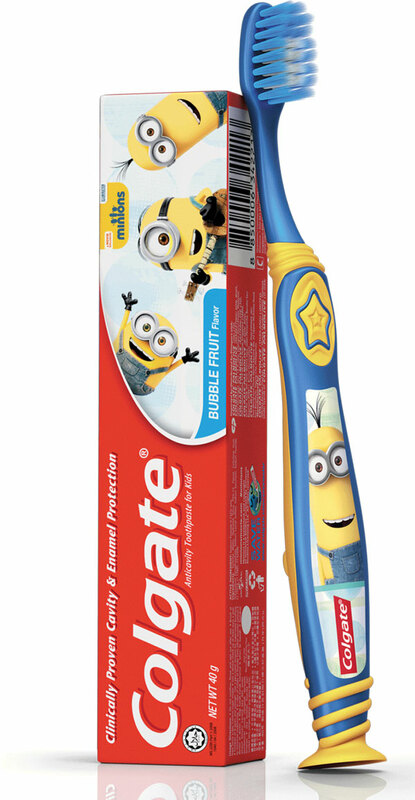 Thanks to Colgate for coming up with this Minions toothbrush! The minute he saw it, he took it out and claimed that it was his. He then proceeded to the bathroom to have his teeth brushed! Amazing!